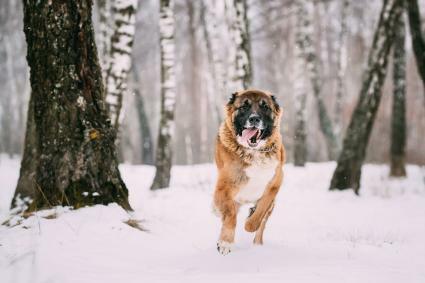 The Caucasian Mountain Dog is known by several names, including the Caucasian Shepherd Dog or the Caucasian Ovcharka, as the American Kennel Club (AKC) lists the breed in its Foundation Stock Service as breeders work toward gaining official AKC recognition. No matter what you call it, this is a fascinating breed. The first impression of the Caucasian Ovcharka is that this is a truly powerful, muscular dog whose thick coat makes him appear even larger than he is. His skull is massive, and his facial features resemble a bear. The ears are set high and are often cropped. The dog has a rectangular outline, and his thick tail tends to hang down when he is at rest and is carried up over the back when he is on the alert or moving. According to the Federation Cynologique Internationale (FCI) breed standard, males of this breed are slightly larger than females, with a broader skull and a heavier body, so the sexes should be easy to tell apart at a glance. The breed should weigh approximately 110 to 220 pounds with females weighing closer to 100 to 180 pounds. 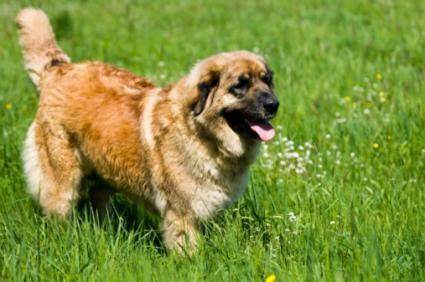 The typical Caucasian Mountain dog height is 64 - 72 centimeters or 25 to 38 inches. While not the largest breed of dog, they are in the group of dogs considered to be the biggest. According to the FCI breed standard, this breed's coat comes in three types. All are double-coated, practically thick enough to stand on end, and quite weatherproof. Long-haired - This type of coat is almost reminiscent of a Chow Chow. It's relatively long, with a distinct mane around the head, shoulders and chest, and thick feathering behind the front legs and pants. The tail is also heavily furred. Short-haired - The short coat is equally thick, but lacks the mane, pants, and leg feathering of the long-haired type. Medium - This coat is a combination of the long and short coat types. The fur is longer than the short-haired type, but there's no mane or feathering, and the tail isn't as luxurious as the long-haired type. Dogs may have white markings, and a black mask is desirable on solid-colored dogs. The Caucasian Ovcharka is an even-tempered companion to his owner, but he is still a guard dog at heart. He's quite territorial, especially toward strangers. He'll remain on duty all night due to his protective nature, so owners can expect to hear barking and growling any time he hears something suspicious. According to EuroPuppy.com, these very large, extremely strong dogs "not inherently dangerous to people" and would protect, but "never attack the people the dog regards as family" or livestock they are entrusted to guard. Due to this breed's temperament and strength, early socialization is necessary to ensure a puppy grows up to be a well-adjusted adult. He should be taken out and about so he can come into contact with a variety of people, pets and situations so he learns to adjust to whatever his present circumstances are. Formal obedience training is also important because adults are large and strong dogs, and you will need to be able to handle him on a leash, as well as train him to be friendly once you've let him know not to worry about strangers. These dogs are not for inexperienced owners. Subsequently, they may not be the best companions for children unless these dogs are well trained and supervised by adults. 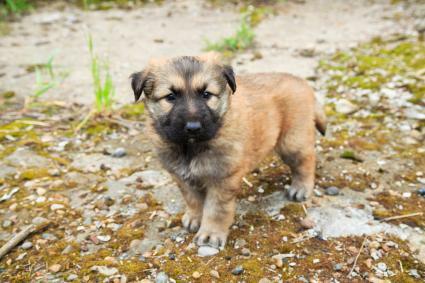 Are Caucasian Shepherds Good Family Dogs? Because of their size and guarding nature, you might wonder if the Caucasian Shepherd is a good dog to have around children. Their protective instinct makes them bond closely to their families, including children. They are known to enjoy being with their human children. However, they are better suited to homes with older children because of they can easily hurt a small child by knocking them over with their massive bulk. Their tendency to guard your property, and your children, is also a factor to consider if you have your children's friends coming over to the house often. With proper training and socialization as a puppy, a Caucasian Shepherd can live successfully with older children and teenagers. You need to know upfront though that this will require a concerted effort from all of the family to work with your Caucasian Mountain dog to make him a good and safe family member, and training should continue throughout the dog's lifetime. Caucasian Ovcharka dogs get their exercise the natural way by patrolling what they perceive as their territory. These dogs are most content when they're doing the jobs they were bred for, and this includes herding livestock. They will also accompany their owners on hikes and trot alongside them in their sure-footed gait. These mountain dogs have extremely thick coats, and they do shed a lot. Shedding can be kept to a minimum by brushing them a couple times a week to remove loose fur. Bathing should be kept to a minimum to preserve the coat's natural texture and oils which contribute to its insulating quality. Dogs that get enough time outside will wear their nails down naturally, but they may still require occasional clipping. This is a hardy breed that averages a lifespan of about 12 years. However, these dogs are prone to some of the same health problems as other large breeds. According to VetStreet, these dogs are susceptible to hip dysplasia and cataracts. According to the AKC, this breed has a long history of use as livestock shepherds and guard dogs. They were also used as guard dogs at Soviet gulags and along the former Berlin wall. Since these dogs are so hardy, they were transported and used all across the former Soviet Union. If you're looking to purchase a Caucasian Shepherd Dog puppy, expect to pay about $1,500 to $2,000. 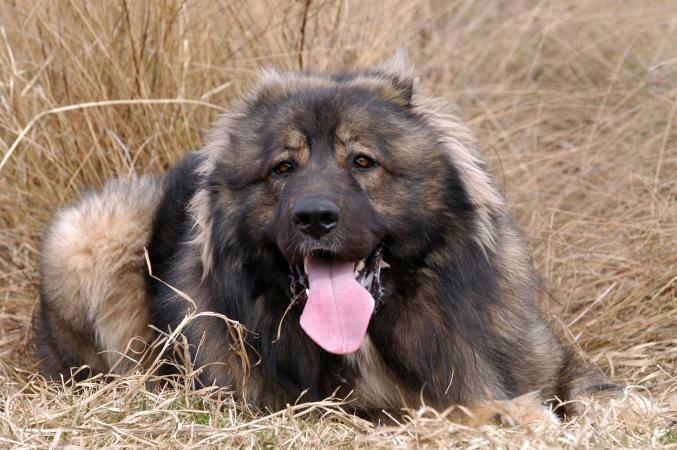 You can use the AKC website to find a Caucasian mountain dog for sale. Make sure you do good research to find a reputable breeder with the right Caucasian Shepherd puppy for you. If you're looking to adopt, contact the Caucasian Ovcharka Rescue Rehome Network. The Caucasian Ovcharka is a magnificent dog, but it is definitely not the breed for everyone. These dogs require proper training and socialization to help them live harmoniously with your family. If you are truly suited to the challenge, this mountain dog makes the companion of a lifetime. Visit breeders and spend time with adult dogs as well as puppies to get a feel of what it's like to live with one of these dogs before you decide if you should bring one home.